I began this website in the fall of 2015. It was to be about writing, particularly about writing science fiction, and I had no intention of responding to political events. Fat chance of that happening, given what has happened in America since. In fact, I had written about twenty numbered posts when events in the world forced me to stick some personal political comments in between posts 10 and 11. It was called Walls Against the World. It wouldn’t be the last time I had to interrupt my regular programming to speak out. That was the day after Hungary closed it’s borders to Syrian refugees. It reminded me too forcibly of the Russians closing Hungary’s borders in 1956, to keep Hungarian refugees from reaching the west and freedom. Was that only thirty-three months ago? Time flies when you are running from a forest fire. Have you ever asked yourself, “How could Germany have been fooled into following Adolph Hitler?” The answer is on your television this morning, and it is Donald Trump. I’m not saying that Trump is a Nazi. I don’t see him as evil, merely foolish. But the techniques that have brought him to prominence are the same techniques that Hitler used. Then Trump won and here we are. I have tried since then to be fair and at least somewhat balanced. After all, he was elected by the American people (aided by Putin and Comey) and the Democrats hadn’t given Americans much of an alternative. I have resisted calling Trump evil, and I have resisted refusing to see why many Americans chose to vote for him. I understand them; I just don’t understand him. I have not called him by the H****r word, even as Trump has become increasingly dictatorial. I have tried to avoid pointing out that Hitler was initially elected to office, before he took over everything. All that was before Trump opened concentration camps on the Mexican border in the name of Zero Tolerance. We haven’t seen this in America since 1942. Maybe I’ll send the White House a copy of Willie Nelson’s Living in the Promiseland. At least I would if I thought it would do any good. 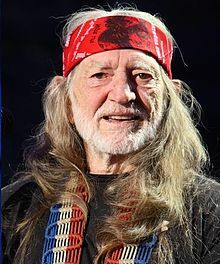 This entry was posted in A Writing Life and tagged blogging, Donald Trump, history, politics, race, Willie Nelson, writing on June 18, 2018 by sydlogsdon.